What’s that they say? You never take advantage of things in your own backyard? 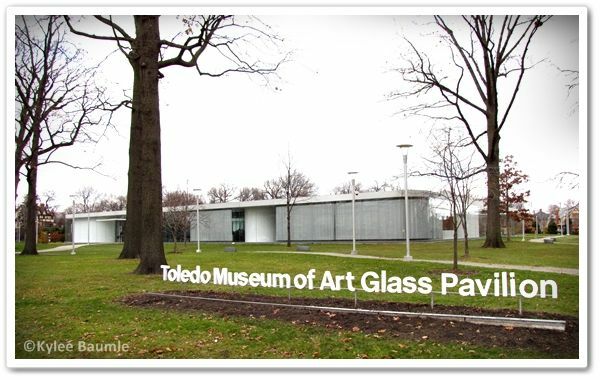 Toledo isn’t technically in my backyard – it’s about 85 miles away – but when we’re talking about an internationally known museum, that’s pretty close. I made my first visit to the Toledo Museum of Art on Friday and I can’t believe it’s taken me 54 years to get there. I met my friend Jan (TwoWomenandaHoe.com) there in the morning and though we didn’t think we’d stay more than a couple of hours, it turned into a all-too-short, all-day experience. Both of us were so taken with the beauty and history that we stayed on the premises and had lunch at their café, because we didn’t want to waste time going somewhere else. That turned out to be a delightful and delicious choice. Homemade potato soup and a salad with spinach, lettuces, red grapes, sheep’s milk feta cheese, spiced pecans, honey wheat croutons (did I forget anything? ), topped with a sweet onion vinaigrette dressing and a cheese roll hit the spot. We were taken on a tour of the main parts of the museum by David Urbank, Membership Sales Manager at the museum, and given that he had no warning of our visit, he was extremely gracious. In fact, every single employee of the museum was both personable and knowledgeable. Even when Jan broke a couple of rules, they were polite and understanding. To be fair, by the time I left, I too did a no-no (by accident!) and was treated with the same kindness. What rules, you say? They’re very lenient about photography, by museum standards, but no flash is allowed because of the effect it has on the fragile artwork. 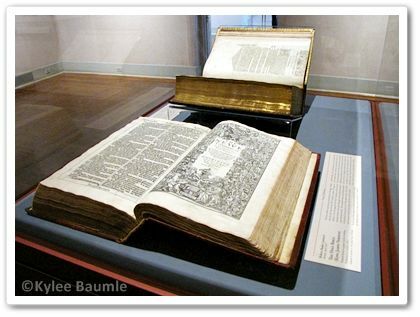 Close-up images of special exhibits are not allowed, although they offer images for press of those items if needed. Also, no gum chewing allowed. That’s because they’ve had problems with inconsiderate people leaving it in inappropriate places when they’re finished with it. 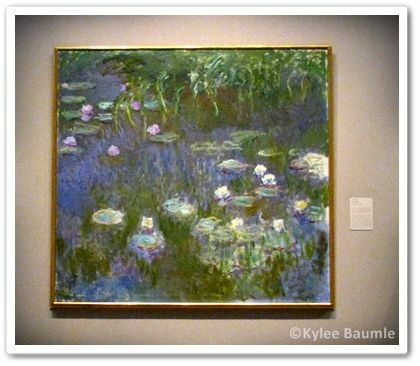 When I stepped into the West Wing and saw Monet’s Water Lilies painting to my left, I had a feeling of standing on hallowed ground. That feeling would be repeated throughout the museum as I came upon one great painting after another: Rembrandt, Degas, Matisse, Rubens, Fragonard, Homer, van Gogh, Gaugin, Goya, Munch, Picasso, O'Keeffe, Klee, Remington, Wyeth, Miró, and Cézanne, just to name a few. 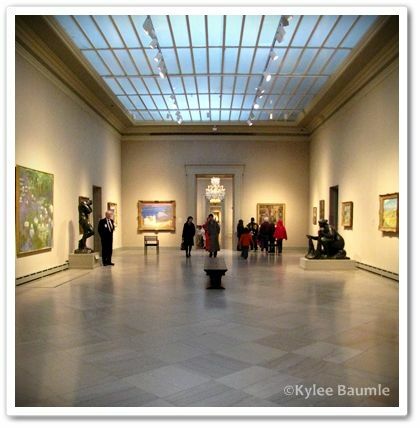 There are other artistic greats, too: Brancusi, Chihuly, Ansel Adams, and Lalique. Impressive is the fact that not only does the Toledo museum have works by so many great artists, they have several by the same artist. The museum was begun in 1901, the vision of members of the Tile Club, who took their idea to Edward Drummond Libbey, a local resident and business owner (Libbey Glass Company). Stockholders joined together and in December of that year, they had their first exhibition. Over the years, they outgrew several locations and the present structure on Monroe Street was built in 1912. Additions were constructed and opened in 1926 and 1933, thanks in great part to Florence Scott Libbey, wife of Edward, leaving the bulk of her estate to the museum. 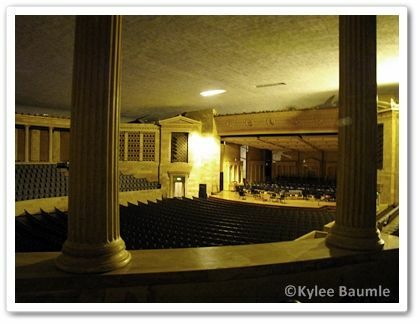 The Peristyle, a Greek Revival style theater and concert hall, seats 1710, and is the winter home to the Toledo Symphony and the Toledo Opera. It was part of the 1933 museum building expansion. Mr. Urbank had the key to the doors and so let Jan and me go inside for a bird's eye view of the beautiful venue. Of interest to gardeners, the museum participated in the 1914 City Beautiful Campaign. This campaign encouraged the city’s residents to transform Toledo into the garden city of Ohio by planting flower and vegetable gardens. A horticulturist, W.H. Steffens, gave lectures on soils and plants and a local merchant donated gardening equipment. More than 200,000 flower and vegetable seed packets were sold at a penny apiece. When the campaign ended, 255 cash prizes were awarded to the best gardeners and the museum held a flower and vegetable exhibition in its galleries. Today, the museum is partnered with Toledo Grows, the community garden outreach program of Toledo Botanical Garden. From its beginning, the museum has made a special effort to welcome children. 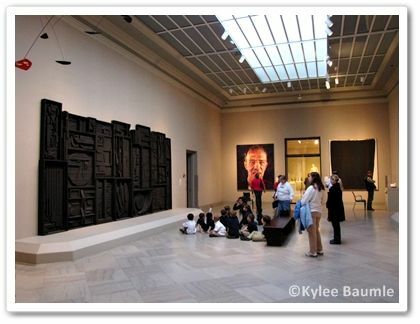 In its early days, young teens served as assistant docents. Regular visits by children and schools take advantage of their educational programs and since 1921, the museum has been partnered with the University of Toledo’s School of Design. visiting the museum on Friday. Just east of the museum sits the Center for the Visual Arts, a building designed by Frank Gehry, the same architect who designed Chicago’s Pritzker Pavilion in Millennium Park and the BP Pedestrian Bridge, which I've seen several times. He also designed the Seattle Music Project, which I saw during our Seattle trip this past summer. Unfortunately, I wasn't aware of the CVA, so I didn't seek it out. That's just one of the things I missed on my first visit, to be seen on the next. 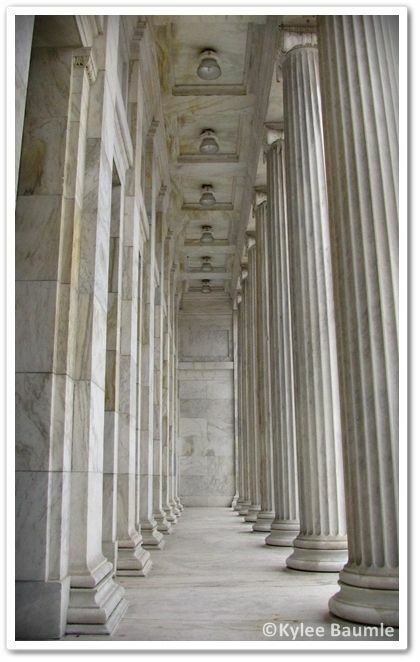 The history of the buildings and programs aside, it’s the artwork contained within its walls that draws most people in. It seemed as though there was just one famous artists' work after another and I learned there were others that though I'd not heard of them before, I found I liked their work. 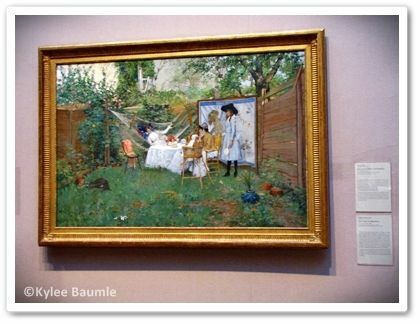 One of my very favorite paintings in the museum is The Open Air Breakfast by William Merritt Chase. I'd heard of Chase, but only vaguely remembered him to be an artist. Upon further exploration of his works, I found that he's widely considered to be the greatest American Impressionist painter. What I should have known before, I know now. as the display period ended the day after our visit. 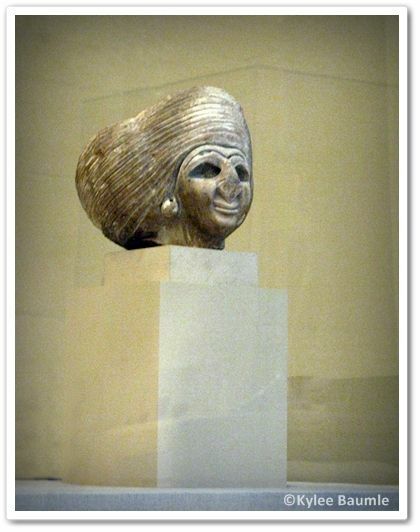 In addition to the numerous Masters' paintings, the museum has a vast inventory of ancient artifacts. Some are as old as the 26th century B.C. It's astounding that items survive that long when most of them weren't created with that kind of longevity in mind. Across the street is the Glass Pavilion, where a beautiful representation of the history of glass is displayed. Jan and I watched a glass blowing demonstration and now have a new appreciation for the fine art. 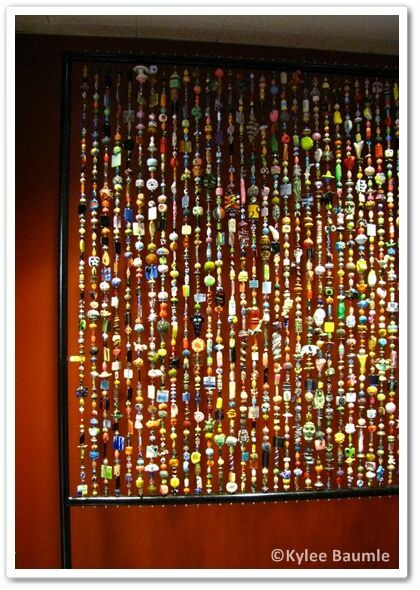 Glass is a very important part of Toledo's history and industry, and it's known as The Glass City. 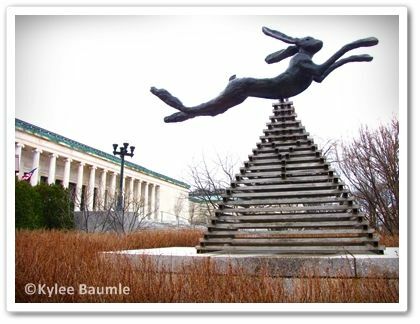 On the main museum side of Monroe street, extending the length of the building is a sculpture garden, containing 22 sculptures in landscaped gardens. The time of year and weather wasn't conducive to an all-out stroll through the gardens, but that will keep for another visit. There is so much more to tell about the Toledo Museum of Art - more than I can tell in a blog post.There's still the art of Asia and Africa, the Paper Galleries, the Small Worlds Exhibit (through March 25, 2012), The Egypt Experience (through January 12, 2012), The Cloister, and the contemporary and modern art exhibits. 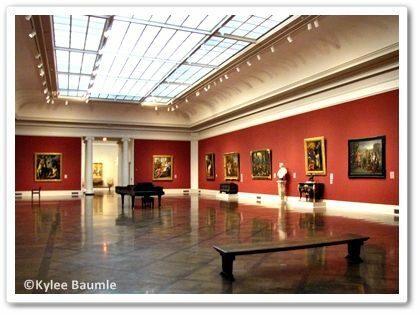 More than 30,000 pieces of art are housed in these two buildings. I've posted my photos in their entirety on Our Little Acre's Facebook page, so you can see more of what impressed me at the museum. My single favorite thing? 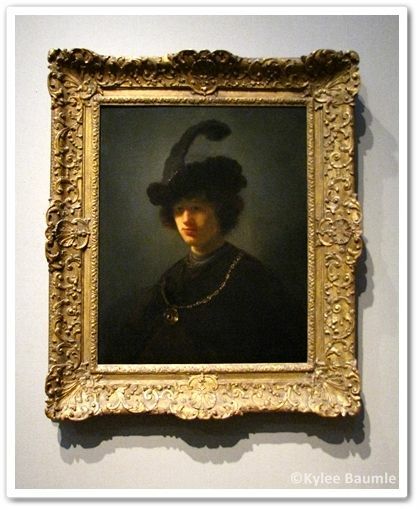 Impossible to choose, although the feeling of standing a couple of feet away, face-to-face, with a Rembrandt is hard to forget. The Museum is just west of Toledo’s downtown business district, directly off Interstate 75, at 2445 Monroe Street at Scottwood Avenue. Their main business line is 800-255-8000 begin_of_the_skype_highlighting 800-255-8000 end_of_the_skype_highlighting. 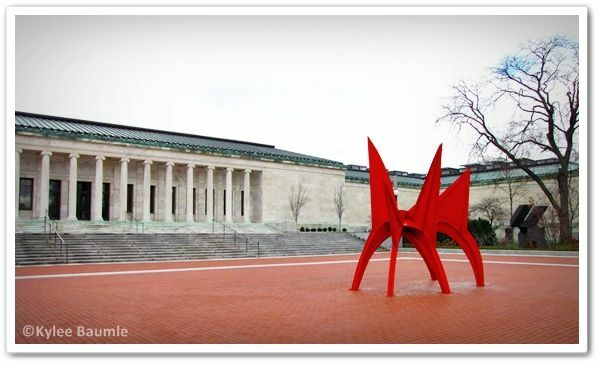 *My thanks to the Toledo Museum of Art for providing much of the historical information I've shared here. Ah, memories. 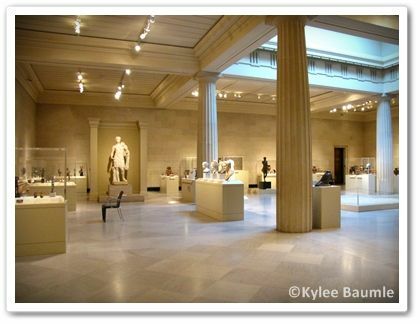 I went to school at UT and the Toledo Art Museum was one of my favorite places to go. I think it's superior to the one in Columbus. They also had some great special exhibits while I was a student. A beautiful day with a beautiful friend. And thank you for putting links to other blogs from Ohioans on your sidebar!